My gripe is basically that who has an extra mesmer wins by default. 2 chronos filled half the map with clones lol. If the development continues to buff or hardly balance the mesmer then make sure that ranked matchmaking gives the EXACT number of mesmers to both teams. Preferably none... I`d take literally any other class matchup than mesmers. Chrono only has like 1 decent bunker-ish build left and a couple niche dps builds in pvp (correct me if I'm wrong, I just haven't seen much chrono in pvp since the big phantasm nerf). They've already nerfed clones/phantasms to the point that they can't carry damage effectively so I'm not sure where the complaint is coming from. If it's the visual noise then that's unfortunately a l2p issue, targeting mesmers isn't all that difficult and since chrono can't break targeting the way mirage can, once you latch onto them it's easy to stick on them. Chrono is now a problem too? Where do I sign up? Didn't properly wave a pitchfork in quite a while. Well to be fair didn't have the opportunity to 1 v 1 any of the 2 chronos given the fact they stacked. The problem here is the quantity not the quality. I'm going to let go of the fact that you used an insulting jargon cause I'm a nice guy like that. But I'd stake my last gold piece you play mesmer and you're making a case for this profession and its specialization(s) . Which is not inherently bad, we need data if we're too offended to play mesmer ourselves. However if you'd play anything else, except maybe a weaver, you would lose a 1 v 1 with a chrono regardless of how "nerfed" you think it was. The worst mesmer spec is by far better than the best spec of almost everything else, prove me wrong. First off, my intention was not to insult. I apologize for that, I'm just incredibly blunt and sometimes that comes off the wrong way so that's on me. Second, I do not play mesmer, ask anyone here who has seen me attempt to play mesmer and they will confirm I'm terrible with it and generally do not play it. I have played sword weaver multiple times and have yet to lose a 1v1 on it to any mesmer (outside of shorts on his power mirage). I consistently play holo, rev, and thief and chrono is not something I've considered to be a problem since they nerfed it. I may not always get a kill if they are competent and know how to cycle cd's properly or escape with a portal play when things stop going their way, but I have not died 1v1 to a chrono since the last nerf. As far as chrono being better than any of the "best" specs on other classes that is just straight up wrong. Chrono has no place in the meta as it can't support/bunker as well as a fb or tempest, it doesn't have the mobility of a thief or a rev for +1 roaming, and it doesn't do enough damage to outpace sb or spb as a side noder. Chrono doesn't have a meta spot for good reason. So what the thread is about, anyway? Clones too OP please nerf? Let's agree to disagree. I mean I'm nowhere far in ranked just silver 2 which is where about half(?) the population is. And Iet's say I'm pretty bad for my ranking. But when ALL my team members lost 1 v 1 to the chronos that says something. Or maybe we were just a bunch bad players thrown together vs the best of the best chronos out there but c'mon what are the odds of that? If what you say about yourself is true then you are an above average player and as such statistically you don't represent the majority. Balancing to the majority is what got balance the way it is now. The majority of players couldn't pull off damage or cc combos well so anet just added in more of it so the majority could play better. That resulted in cc spam being absurdly high and almost every prof being capable of 1 shots. 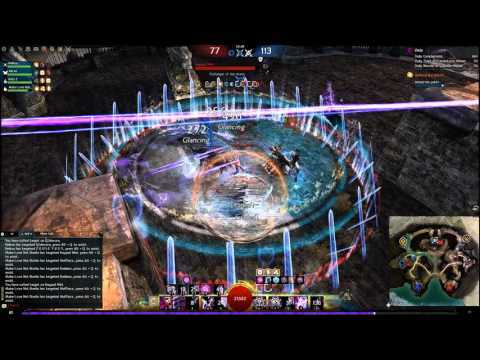 The majority of players couldn't dodge an attack properly so anet added in counter cc passives, invuln procs, and ridiculous amounts of sustain to builds which resulted in bunker metas or builds that realistically can't be killed 1v1. Also matchmaking is terrible so it's actually not that unlikely that your team was a bunch of bads being put against 2 decent or good chronos. elitist. * wipes tear * So good day to you, sir! And the best day to you! Also there is a bit of irony in your previous comment since the majority of the elitist players can't succeed at their tryhard quota of wins with anything except a mesmer. Builds for the average people get molded up and broken down with continuous updates so nothing truly OP stands the passing of time, not even the unkillable bunker druid. However there is only one constant that will never change and that is how tricked out the mesmer is as a whole, including bunker chrono, despite the outrage of most of the players. Which leads back to my original point: either nerf this wonderfulness of a profession OR mirror the number of mesmers each team has. Ok now I'm done, I swear! The whole reason chrono was good in that game was because you probably don't recognize the mesmer from its clones hence why you are complaining about the numbers of clones. And for your information they do not buff mesmers, mesmers were actually nerfed multiples times. How to answer mirage: One shot Zerker Zerker. Reduced the maximum number of clones to 2 from 3. All clone skill are now 50% more powerfull. Clones don't deal any damage as their visual clutter is brain damaging anyway.